You've visited all the major tourist attractions Eastern Australia has to offer or at least the ones your family has been dying to see and experience. You're now ready to explore an entirely new culture; luckily for your group, there's an archipelago and group of small islands off the coast of Australia in the Coral Sea that is a short plane or boat ride away. Brush up on your French, because New Caledonia is a dependent French territory found just east of Australia and west of another popular tourist destination, Vanuatu. No matter if you're completely unfamiliar with this island chain, or consider New Caledonia your family's destination of choice; there are many adventure sports and activities waiting for you to enjoy. New Caledonia features the world's largest lagoon, making it the ideal time to try out your sea legs. If you're sailing your boat from the coast of Australia to New Caledonia, be aware that there are several marinas scattered across the islands, but each has its own rules and regulations. For instance, there are several marinas on the southern islands don't allow ships longer than 15 feet to moor. More realistically, you'll probably charter a small boat to either enjoy the warm waters for a single day or several weeks. There are also water taxis available to transport you between islands. Whatever your preference, there are opportunities to enjoy sailing, swimming and even whale watching, all along the shores of New Caledonia. No matter what your fitness level, there are several hiking trails and scenic walking trails scattered across New Caledonia. Amongst the most popular for tourists and locals alike is the Grande Randonnee, or “great hiking trail,” which is located 120 kilometers from the city of Dumbea. The trail is perfect for horseback riding, hiking and it also doesn't hurt that the area is certified by the French Hiking Federation, meaning its quality is top-notch. 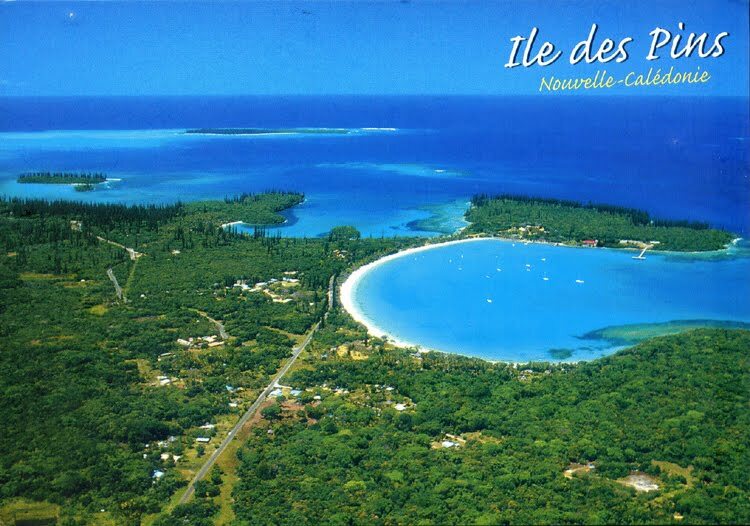 Another amazing option on New Caledonia's west coast is the Parc Provincial des Grandes Fougeres, or the Provincial Park of Grand Ferns. Spanning eight kilometers through a plush rainforest, the hiking and biking trails are also equipped to handle ATVs. Consider this shorter trail if you're traveling with small children, as there are plenty of spots available to rest your feet or grab a quick picnic lunch. Forget Australia, when you're ready for a real golfing holiday; instead, take a short plane trip or boat ride to New Caledonia, and make your way directly to any of the archipelago's numerous world-class golf courses. Amongst them is the Tina Golf Course, which is conveniently located a few miles outside of Noumea, and aside from featuring amazing greens, the course also lies at the foothills of the Tijibaou Cultural Centre. If you've explored every outdoor adventure New Caledonia has to offer, but still haven't quenched your insatiable need for adrenaline, there are many other ways to raise your heart rate. Aside from skydiving over the Coral Sea, there's also a perennial favorite amongst the locals and returning tourists, the Accrobranche. This cavalcade of extreme sports challenges basically keeps you on your toes for several hours and features a variety of high-flying new adventures, including zip-lining through the island's tropical rain forest. You've had your fill of sailing, scuba diving, hiking and zip-lining and are now ready to make your way to a fabulous restaurant, and enjoy a peaceful night relaxing in your hotel room. If you don't mind digging deeply into your pocketbook, there are a number of fabulous French restaurants in New Caledonia's larger cities, and resorts. For a less extravagant meal, head to a local farmer's market and sample the island's amazing fruits and vegetables. As far as lodging, you'll need to do your homework to find an amazing deal. New Caledonia is a tourist destination at heart, and relies heavily on outside revenue to support the local economy. This being stated, with a little diligence, and some luck, it's possible to snag an amazing deal at one of New Caledonia's top resorts. Now that you've enjoyed learning about the many things to see and do on various New Caledonia holidays, it's time to start thinking about your next vacation. The island chain is small, but there's a good chance you missed some of the lesser-known attractions and activities. About the Author: Janet Freeman is a guest blogger and is currently planning another vacation in New Caledonia.